EFF leader Julius Malema on Sunday said that a church service had moved him to forgive former president Jacob Zuma. 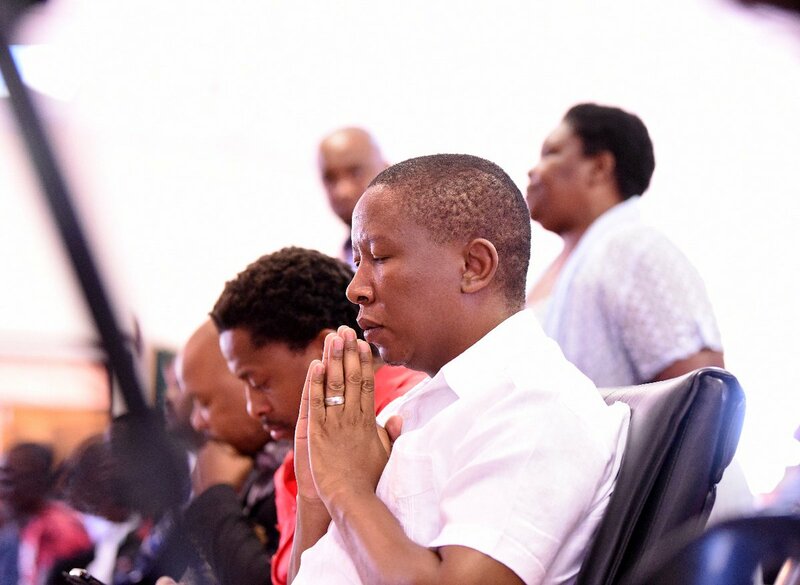 Malema attended a service at the Apostolic Faith Mission River of Life in Soshanguve on Sunday. Speaking after the service, he said the sermon had been about forgiveness. "I was even saying to the pastor that we've forgiven Zuma because of the sermon. So Zuma must thank the pastor, because we've got wisdom from the pastor," Malema said with a light smile. During Zuma's presidency, EFF MPs consistently challenged the former president in Parliament, calling for him to pay back money from his Nkandla homestead security upgrades. The new developments seem to indicate a thawing of the relationship between Malema and Zuma. The Constitutional Court ultimately ruled in 2016 that Zuma had failed to uphold the Constitution by not complying with then Public Protector Thuli Madonsela's remedial action regarding payment for the upgrades to his Nkandla homestead. The court also ruled in 2017 that the National Assembly had failed to hold the president accountable. South Africa votes in general elections in May, and it is difficult to determine whether or not Malema's statement on Zuma could simply be an electioneering ploy designed to appeal to Zuma loyalists in the ANC. The governing party continues to battle divisions following the election of Cyril Ramaphosa as president and the removal of Zuma from office. The EFF website has not been updated with any information on its stance toward the former president on Monday.